Can I change the URL/address of my website? This can be changed by the ubcarts.ca administrators. Please use the Email Support button in the bottom right to send your request. Is there a way to migrate UBC Blogs sites to ubcarts.ca? No. The templates for UBC Blogs sites are too different for the data to transfer properly. I've created Skills/Courses/Extracurriculars/Collections. Why can't I see them on my website? These are categories that your activities will be tagged with. Once an activity has been associated with the applicable skills/courses/extracurriculars and or collections, they will appear on your website. 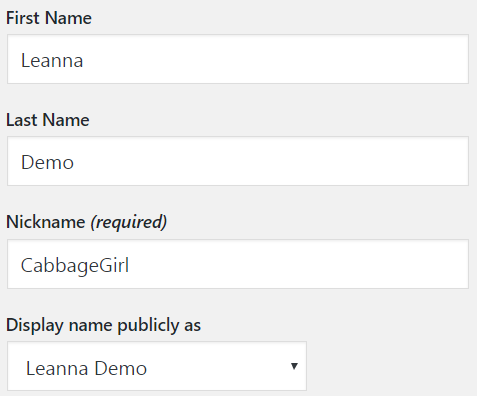 Can I change how my name appears on the website? 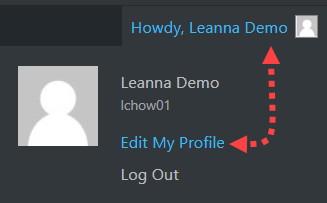 Yes, you can do this by editing your profile. How do I delete my ePortfolio? Go to Settings > One Click Reset. Please note that there will be no warning or undo option once the “Reset” button is clicked. Why won't my past courses show up under the Courses page? The course is from the Faculty of Arts. Is it possible to remove the social media icons from my activity posts? Yes. If you do not want viewers to share your activity posts on social media platforms, you can disable this feature. How should I write about what I've done? Describe what you did, how you did it, the outcome, and the impact you had. Quantify when you can. How many people attended your event or performance? How many people read your book review? Articulate the impact that your work had on others. Reflect on the impact your work had on you. Describe your results or the outcome, not just the content and not just your tasks. How do I decide what Skills to add to my Activities? How can I edit or improve my Skills? Check out the above screenshot from an example portfolio website from a student who graduated from the University of Waterloo. 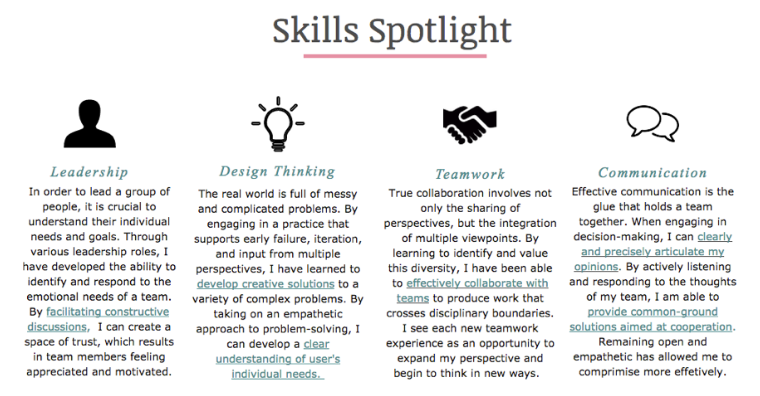 The student decided to place this “Skills Spotlight” on the home page of her site, which functions as an overall summary of her skills with links to instances (activities) where she has applied these skills in her life. Do I need to add a Feature Image? What if I can't find one to represent my activity? For each Activity, you should consider adding an image that will add visual interest to your home page. Ideally, the Feature Image should be connected to the particular activity in some way. To avoid any copyright issues, it’s best to use your own images as much as possible. If you are not using your own images, please review the copyright protocol listed here. Since your UBCarts.ca will be viewed as a representation of your work, activities and experiences, you want to be sure to consider that when adding images (media, video, audio, etc.) to your site. text-heavy, which are not only important components of a strong online portfolio but it can make the user experience more enjoyable. There are three ways to use an image legally: (1) use your own images, (2) receive permission in writing from the copyright holder, or (3) use an image that comes either from the public domain or under a Creative Commons license. It may be that a Feature Image doesn’t immediately come to mind. It may be that you think there is no image that could represent your Activity. Keep thinking. Think outside the box. Consider the content and experience of the activity, the process of doing the activity, and the results and impact the activity had. The Feature Image doesn’t have to necessarily represent every part of the activity. And if the activity is something you participated in and there is no documentation, you can search for Creative Commons licensed images of other people participating in similar activities. For example, Feature Images could be full/cropped digital photos, illustrations, drawings, video stills, screenshots of any of the following. If you have one image you would like to use as a Feature Image for an activity, but you would rather show the entire image instead of a cropped version, you might consider adding the uncropped image to the Full Description of Activity area and then selecting it again as the Feature Image, knowing that the Feature Image will show just a cropped portion. In this way, the viewer may first see a part of the image when the Activity is listed on the home page, and then when they click to open the Activity, the full and uncropped image is revealed. To make the image work properly with the UBCarts.ca theme, and to avoid any unwanted distortions, the dimension of the image should be at least 300px (width) x 150px (height) at basic screen resolution (72 dpi). It’s most likely your image will be at least this size or can easily be cropped to this size (it’s only really a concern if you are using a very small image you have found online). The ratio of the Featured Image will be a landscape/horizontal rectangle as opposed to a portrait/vertical rectangle. So if the image you want to use is a vertical rectangle, you should know that if choosing it for your Featured Image, it will be cropped to show just the middle horizontal section of the image. If you want to have more control over what part is cropped, you can edit the image before you set it as your activity’s Feature Image. For more information on using images and other media – uploading, editing and cropping, etc. What if I don't have any Extracurricular Activities? By looking at examples of other online portfolios, you might start to realize connections between your UBC courses and the things you do outside of school. Sometimes it’s easy to forget about things we did in the past and how they contributed to shaping our current goals and interests. Perhaps you don’t belong to any organizations or clubs, but maybe you travelled to other countries, you learned to play an instrument, or you did something else that had an impact on your growth and development as a person. By including a few of those things as Extracurricular Activities, you may see connections to the skills and characteristics of other Activities, which may ultimately help you reflect on your interests and goals. By writing about some of these connections in the Activities and Learning Significance sections, it will really help you articulate what you can bring to the next thing you want to apply to, whether it’s graduate school, a job, or a community service role. By seeing all of your curricular and extracurricular activities together, you will hopefully begin to get a better understanding of the kind of projects you want to pursue in your future. I would like to apply for an intern position but I also want to apply to grad school. 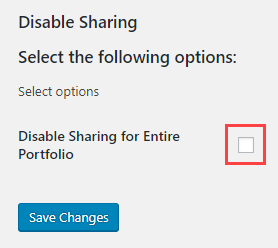 How can I create a portfolio that does both of these things? Do I have to create more than one? What do I put in the Learning Significance box of an activity? There are multiple ways this area can be used. You may decide to choose one of the following methods or a combination of these, and this may depend on the type of each Activity. What does the activity mean to you? What other activities it is connected to? What might you do next time to improve the activity or your experience? What questions still persist after this activity, event, project, experience? What did you do in this activity that made you uncertain? What did you do that did not go as you had expected? What did you learn about your assumptions? How did you adjust or adapt to using a different strategy or approach? Method 2: If the Full Description of your Activity already includes reflection on what you learned and the impact it had on you, the Learning Significance could be a place for you to be more personal and perhaps expand on one or two of the points listed in Method 1. For example, maybe you want to discuss in more detail how what you learned applies to what you want to do in your future, or how what you learned applies to the Collection of work you have put together in your portfolio (for more info on Collections, see below). Method 3: If the Full Description of your Activity includes some reflection on what you learned and the impact it had on you, you could choose to use this space as: a) a notebook/journal to store ideas you might come back to when further editing the Activity, b) potential points about “learning significance” that you will write about later, c) for ideas that came to mind when writing the description (e.g. connections between different activities), or anything else you might find useful. You could choose to keep this in rough form and make it only visible to you. To make the Learning Significance box visible only to you, uncheck the box beside “Display Learning Significance on my public activity”.